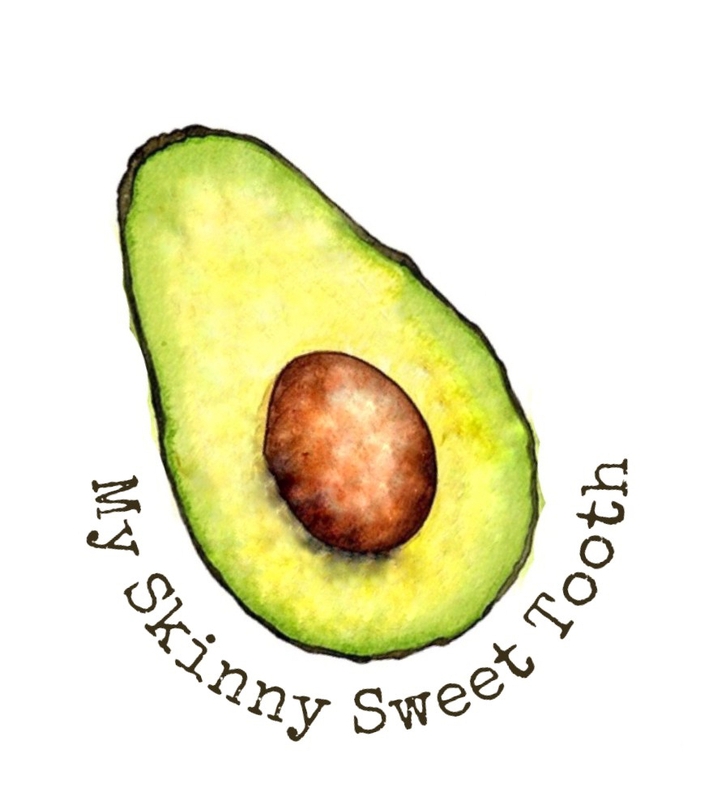 Making your own candy can be a cinch and healthier, too! Reese cups are one of my favorites and probably once of the easiest to mock. 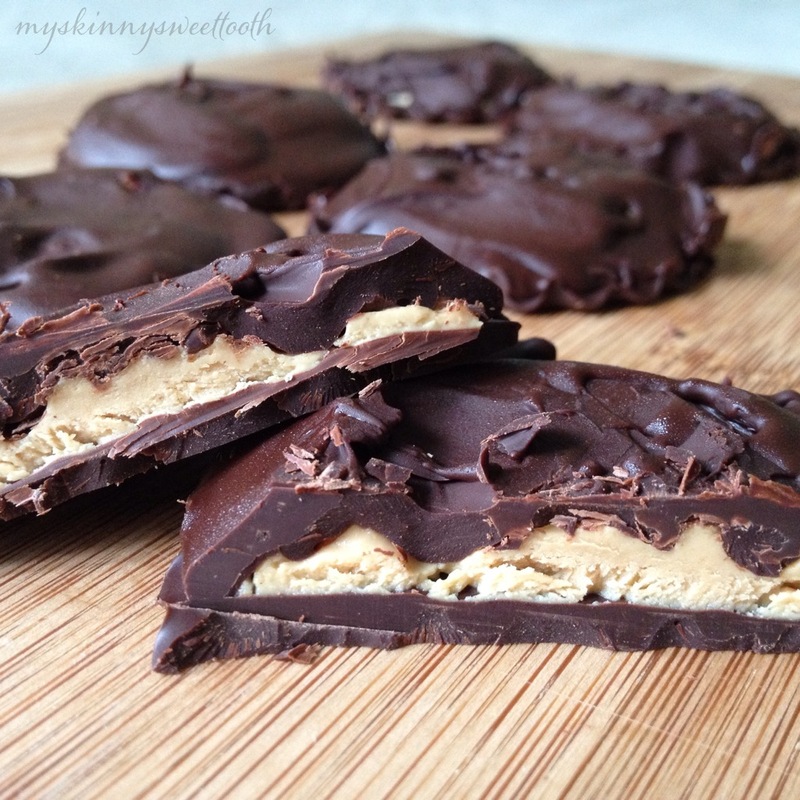 Very few ingredients (3 to be exact) help with throwing these together quickly. 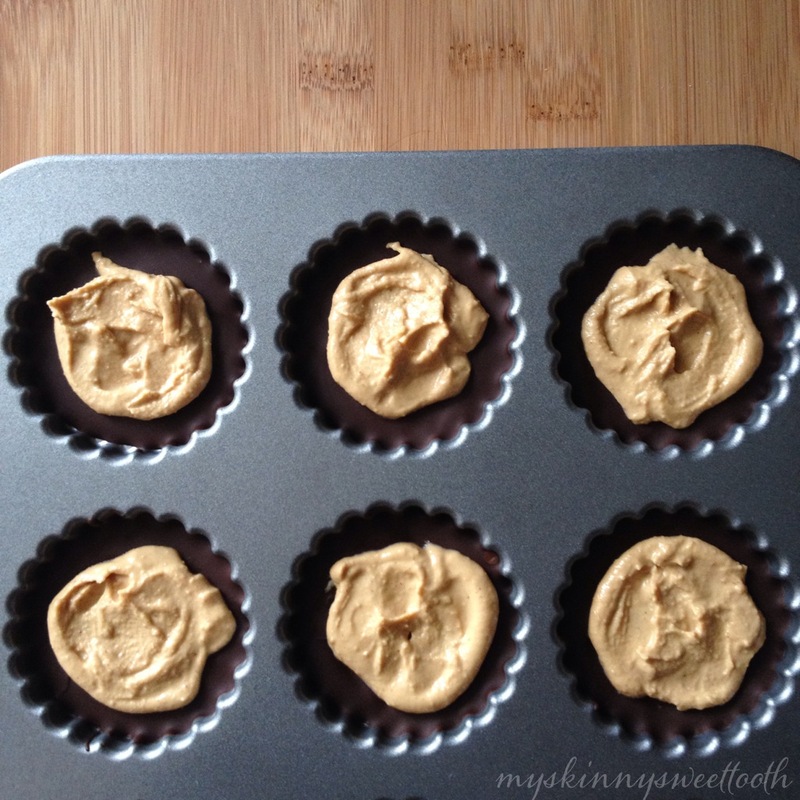 6 healthier Reese Cups coming right up! Want a fall twist? 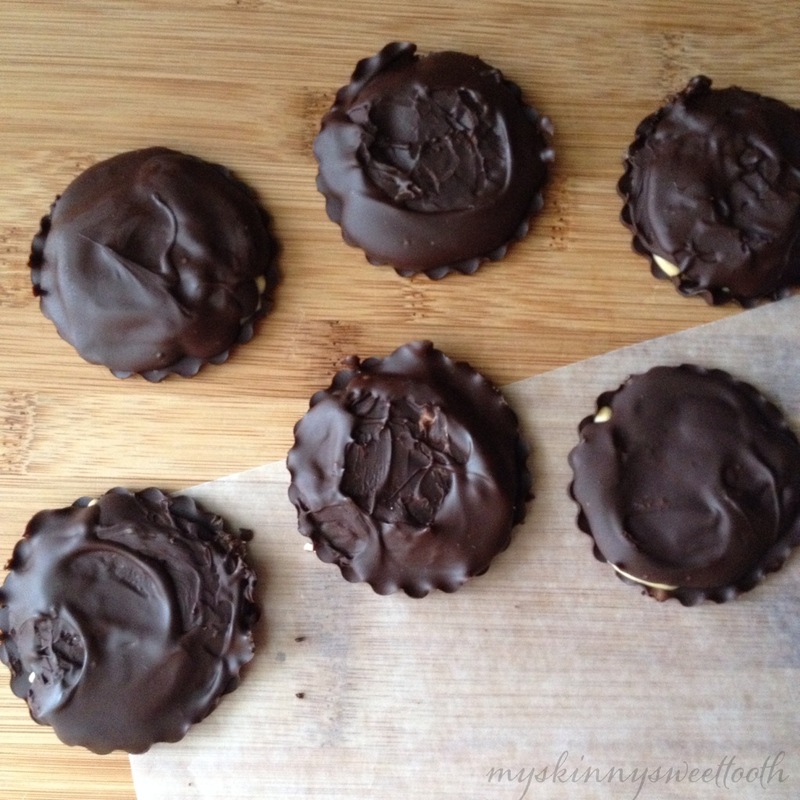 Scroll all the way down for Pumpkin Pie Peanut Butter Cups!! 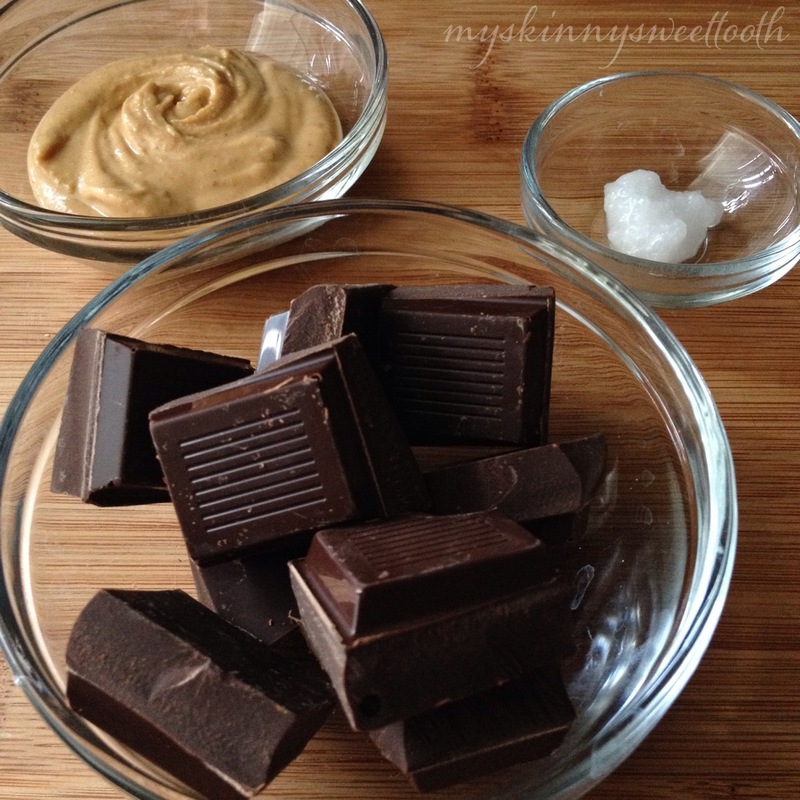 ⋅In a microwave safe bowl, melt chocolate and coconut oil together in :30 increments. Mine only took 2 turns (1 min total). ⋅In a shallow cookie pan* (whoopie pie pan or something similar) layer a little chocolate into 6 spots, making sure the chocolate spreads out evenly to coat the bottom surface. ⋅Place in the freezer for 5 min to harden. 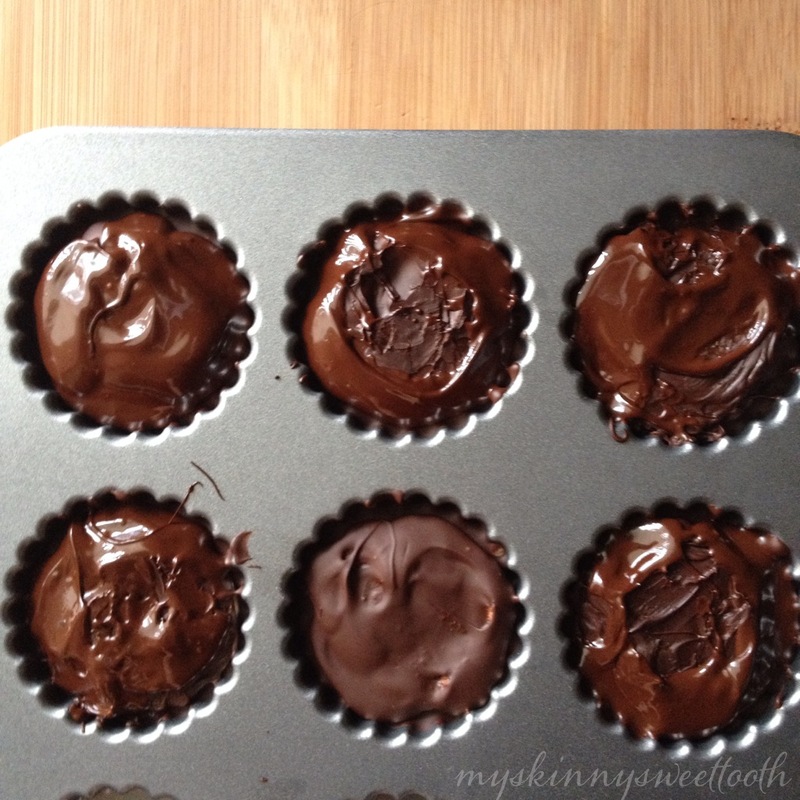 ⋅Divide out remaining chocolate onto each cup for the top. 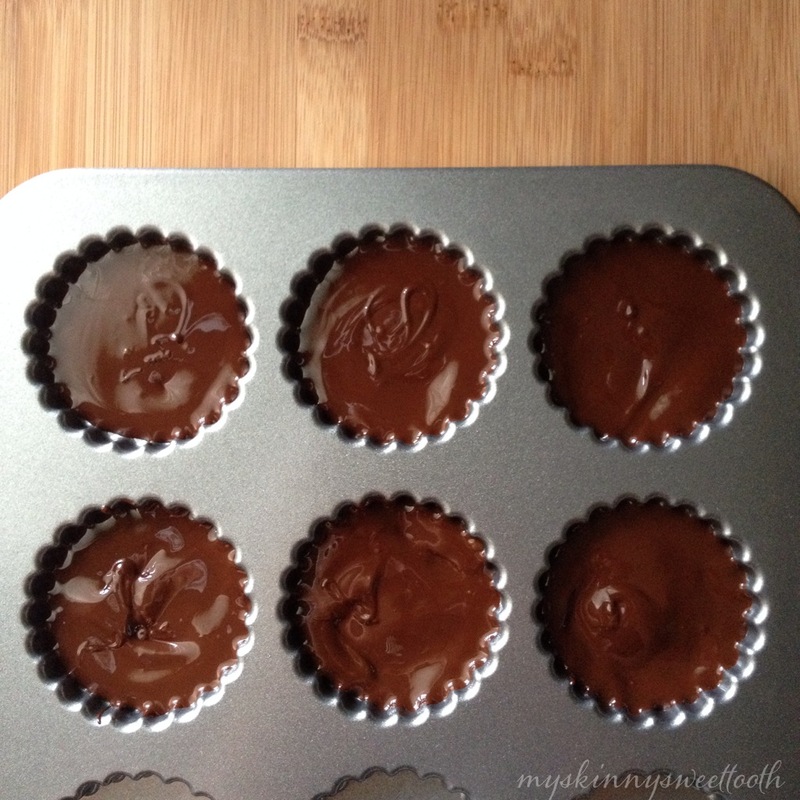 ⋅Place in the freezer for 10-20min to harden completely. ⋅Remove from the cookie pan with a toothpick if needed and store them in a sealed container in the fridge or freezer. wow!!!!!! Now these are tempting. And I don’t have a sweet tooth!!!!! Oh, these would be perfect for you! They’re not extremely sweet because of the dark chocolate. 🙂 Milk chocolate, now that’s a different story lol. Oh wow!!!! I totally want to try this! They look amazing!!! Looks so good! But dumb question, what is PB2 and where do you get this? Hmm, I have all the ingredients! Would be great using my silicone muffin wrappers. 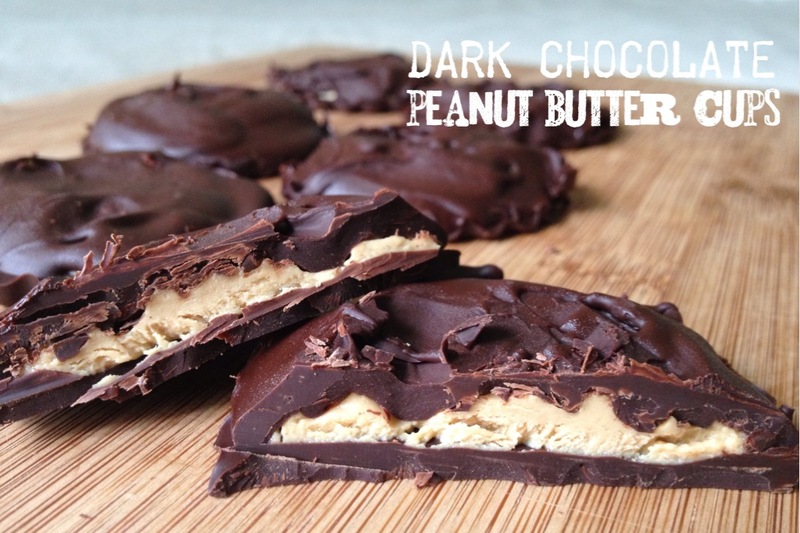 Thanks for sharing, chocolate and PB is definitely a hit here. Thanks so much! Can’t wait to try these! Getting ready to make some now! I will send these to the girls at the office!!!! Sounds like a great idea! I love how you’re willing to share them 😉 lol Enjoy! These look so delicious! I really want to try the pumpkin recipe..
Is it 1/4t pumpkin pie spice? Yes! Thank you for catching that 😉 It is 1/4t pumpkin pie spice 🙂 Enjoy!